Peter Stöger – Can he Fix Borussia Dortmund? Borussia Dortmund have fired Peter Bosz and replaced him with former 1.FC Köln coach Peter Stöger. Declared as the final for Bosz to turn things around BVB lost 2-1 against relegation candidate Werder Bremen on Saturday. The game against Werder Bremen was a declaration of ineptitude by a BVB squad that showed none of the qualities that made the club become the second most significant club in German football over the last few years. 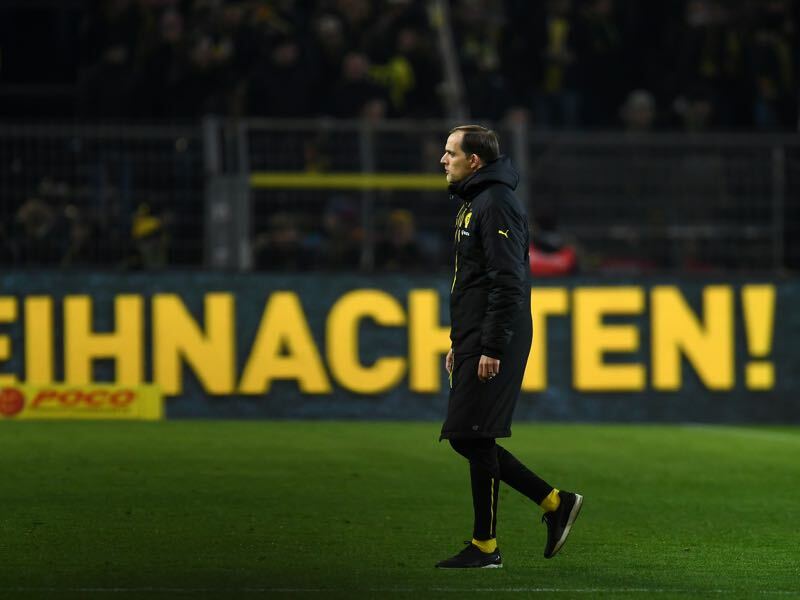 Over the 90 minutes, Dortmund’s players did not demonstrate the will to fight for their coach highlighting that the problems in the team might be going much more profound than just tactical issues. In a matter of fact, Bosz’s hiring in the summer may have just accelerated problems that were already at the back burner in a squad that seems unbalanced. It is an open secret that Thomas Tuchel, who was fired last summer after a conflict with the board and several key players, wanted to discontinue working with several key players in the squad. Tuchel believed that the likes of Nuri Sahin, Mario Götze and Marcel Schmelzer did not possess the skills necessary to play his style of football. There is no doubt that Tuchel is a difficult personality and his lack of diplomacy was also the main reason Bayern did not sign him right away to replace head coach Carlo Ancelotti this fall. But at the same time, Tuchel knew that changes were necessary for this squad. Instead, Dortmund’s board decided to change the head coach. Bringing in Peter Bosz, Dortmund felt they had signed a head coach, who represented both the heavy metal type of football played under pre-predecessor Jürgen Klopp and also the character to fill the rifts that have opened up in the dressing room. It was a move that seemed successful at first. Dortmund stormed out of the gate and collected seven wins and one draw in the first eight games. But there were signs even then that the Yellow and Blacks could be in trouble. In the Champions League Dortmund were sliced open at will by Tottenham Hotspur on matchday 1 thanks to a high BVB backline and lack of defensive aggressiveness. The Tottenham game soon became the blueprint for any side facing Borussia Dortmund. From September 30 to December 9 Borussia Dortmund only won one game—5-0 in the DFB Pokal to Liga 3 side Magdeburg. Bosz’s system was decoded, and the Dutch coach seemed to have lost the dressing room as well when he refused to make tactical changes to counter the problem. It was not until the Schalke game that Bosz changed his tactic moving from a 4-3-3 to 3-4-3. But Dortmund threw away a four-goal lead to finish the game with a 4-4 draw—a game that felt more like a defeat for the Yellow and Blacks. At that point, it seemed almost unfeasible that Dortmund would continue with Bosz. The problem, however, was that there was no real alternative on the market. Last summer Dortmund had negotiated with Lucien Favre, Julian Nagelsmann and Peter Stöger before settling for Bosz. The first two were unable to get out of their respective contracts and the latter, according to CEO Hans-Joachim Watzke’s press conference comments on Sunday, seemed to be too emotionally connected to the project in Köln. Following the game against Schalke Dortmund drew Leverkusen 1-1, lost to Real Madrid 2-1 and then lost again against Werder on Saturday. Meanwhile in Köln Peter Stöger was let go ahead of the 2-2 draw against Schalke—Stöger coached the game in the knowledge that it would be his last game with the club. The situation in Köln provided Dortmund with a real alternative to Bosz. With Stöger available, and willing to take over the club with no guarantee that he will stay beyond next summer, Bosz fate was sealed. 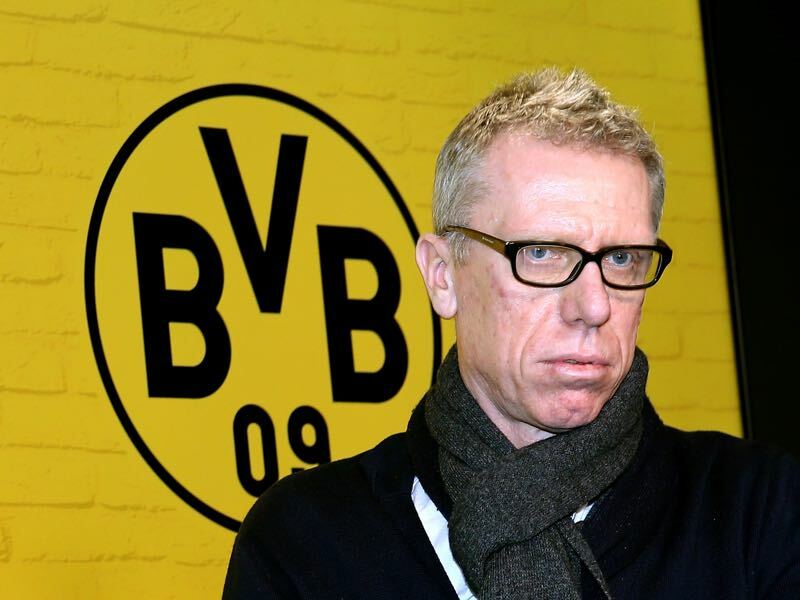 Peter Stöger now takes over a club facing the biggest existential crisis since the almost bankruptcy in 2004. The situation is undoubtedly worse than when Jürgen Klopp’s side dropped to the last place of the standings during the 2014-15 season—as Raphael Honigstein pointed out on the Gegenpressing Podcast was a footballnomics freak that cannot be explained with any hard data. Statistics did, however, not safe Bosz. His side lacked the fundamental principles to survive in the Bundesliga. Like many Dutch coaches before him, Bosz believed that the football played in the Eredivisie was compatible with German football. But the gap between the two leagues is just too big regarding skill and athletic attributes. It is now up to Stöger to turn the ship around. It will be a monumental task for a coach given his biggest career opportunity following a disastrous campaign with Köln. But Dortmund’s CEO Watzke and sporting director Michael Zorc were quick to point out that they signed Stöger for what he had done at Köln over the last four years—guiding the club from Bundesliga 2 to a fifth spot in the Bundesliga—and not the final half-season. Stöger’s first task will be to strengthen the club’s defence and to secure a Champions League spot. Pragmatic football rather than spectacular Totaal Voetball made in Holland is now the mantra of the club. Furthermore, Stöger’s Vienna charisma is also supposed to help to fix the dressing room and kit the broken atmosphere between several top players. Stöger told the press on Sunday that he does not think that the problems are “a matter of quality.” Getting a team to play on the field will be necessary to secure a spot in the Champions League. That goal and nothing else will count for Dortmund in what remains of the season. What will happen after that remains to be seen—Watzke was quick to point out that the club will keep all its options open and that Stöger would be an option beyond next summer. People close to the club, however, are sure that Stöger is nothing more than an interim coach, who will make room for Julian Nagelsmann in the summer of 2018.